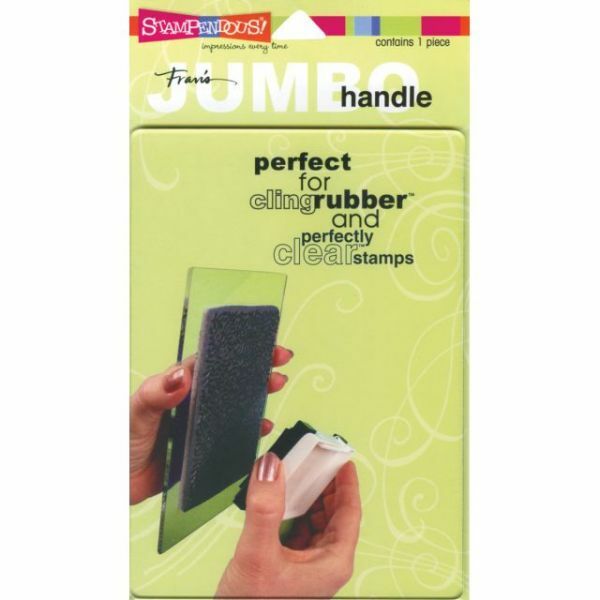 Stampendous Jumbo Perfectly Clear Handle Stamp Block - STAMPENDOUS-Fran's Jumbo Stamp Handle. This thin, ultra-clear stamp handle is perfect for use with clear stamps and cling rubber stamps! it measures 7x5x1/8 inch so you can fit virtually any stamp with room to spare! Plus it's thin enough to store easily in a drawer. This package contains one Jumbo Stamp Handle. Imported.